Microsoft is offering major monetary incentives to mobile app developers to create apps for its Windows Phone 7 system in a serious attempt to counter fellow giants Apple Inc. and Google Inc. Todd Brix, a senior director at Microsoft who works with app developers, explained that the company is ready to provide funds for software development and marketing, revenue guarantees, tools, handsets and will even make up for losses if apps don’t sell as well as expected. This is a monumental task, to say the least, as Microsoft may be world’s biggest software developer but it lost users to Google and Apple and when it comes to mobile phone apps. It’s now revamping its flagship mobile OS and to actually achieve the target it’ll need to develop a massive number of games, music and navigation apps when its new devices hit the market later this year. MS CEO Steve Ballmer admitted this week that Microsoft’s mobile business has “missed a generation” and it’s now looking to bridge the gap. We are investing a lot to attract developers big and small to Windows Phone 7 to let them understand what the opportunity is and provide as many resources as we can to help them be successful on our platform. We’re open for business and we want to work with them. 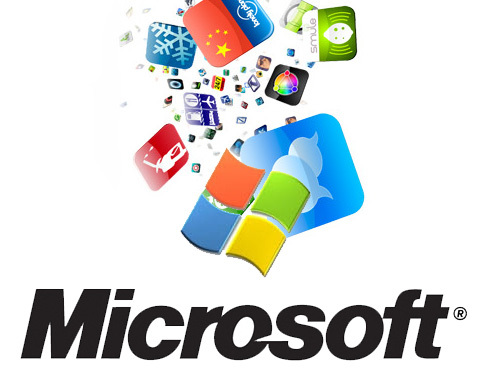 Microsoft is starting from scratch in the mobile app industry as after the complete overhaul of its mobile OS, the previously developed apps don’t work any more. It is competing with Apple’s 225,000 and Google’s 65,000 apps which are growing every day. It’ll no doubt be a long bridge to cross but Microsoft is taking the first steps and needless to say, the world will be watching very minutely. Previous post: Apple’s Next Big Launch? The New iPod Touch Of Course!